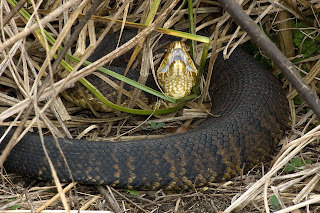 Florida Native Photography: Florida Cottonmouth on La Chua Trail. Florida Cottonmouth on La Chua Trail. Taken on the La Chua Trail at Payne's Prairie State Park.